If you are looking for business card templates you can use in OpenOffice, take a look at the three resources in this guide. Using an OpenOffice business card template will give you the right layout for printing templates. It will also save you time if you find a design that you like. Finding a design that you like will keep you from having to design a business card and all you will have to do is change the card's information. Another new thing people are doing is adding maps to the back of their business cards. This is ideal if you have a business outside of the online world. Let's take a look at the business cards in this guide. The first OpenOffice business card template in this guide is a basic template with a bluish-gray background. This template design does not have any graphics added to it. However, you can add your own graphics if you want to. But, if you are looking for a basic business card design, this may be the template for you. Basically all you have to do is change the text on the card. You can also change the font and color of the text. To see some of the best fonts for business cards, take a look at Free Fonts for Business Cards. The second template in this list has more graphics. 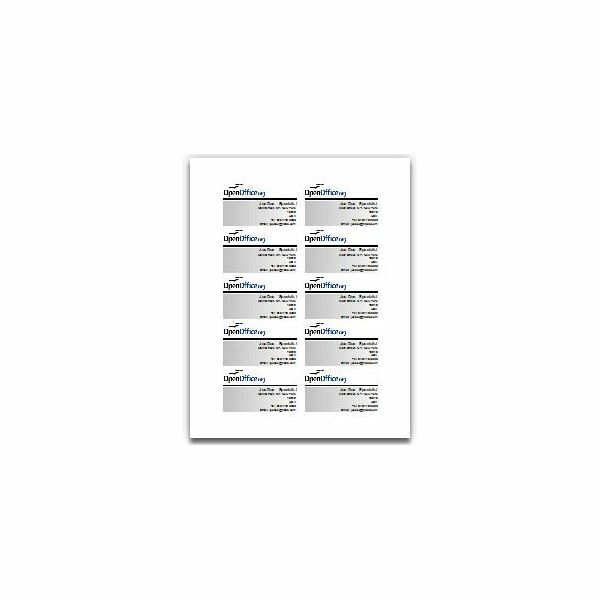 This is a vector set of templates you can use in OpenOffice. 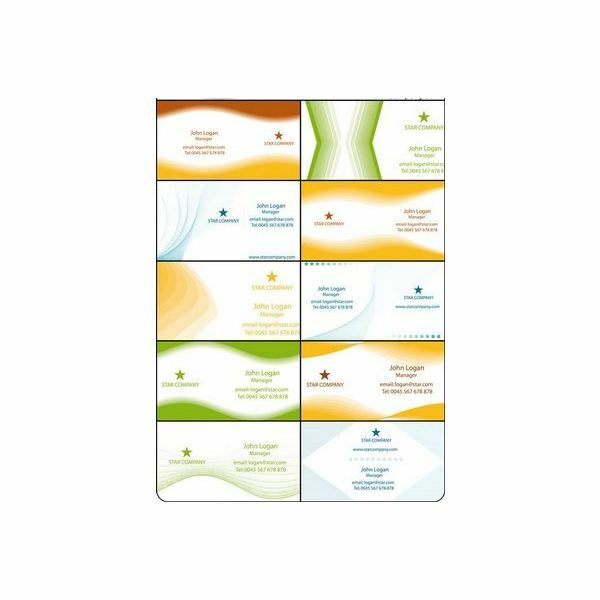 In this set, you will get different business card templates that match, but have different graphics. If you choose to use this template set, the only thing you will need to do is change the information on the card to your own personal information. You can also change the font and text size too. The last template in this list comes from the same site as the above template. This set is also vector business cards. 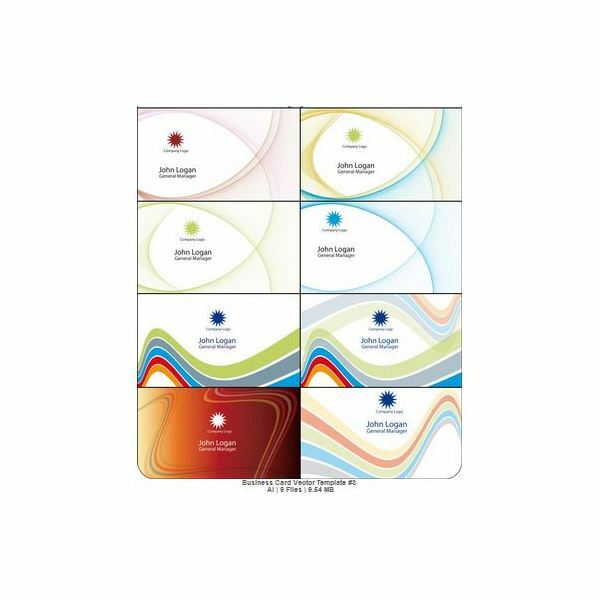 These business card designs consist of light colors and bright colors. All of the cards have white backgrounds except one. So, if you are looking for a colored background business card, you may want to take a look at that one. If you prefer a white background, there are quite a few for you to choose from. Keep in mind if you use a colored background business card template and you are printing a lot of business cards, you will use a lot of ink when printing them, or you can of course take your completed template to a printer and get them made up for you professionally. To use the template you have downloaded, you will need to unzip the downloaded file. Next, you will need to locate the file on your computer and click it. Double click it to open it. Once you double click the template file, it will load in your OpenOffice program. You may have to give it a minute or two to open. After the template has loaded, you can edit the template. To edit the business card template, you will need to highlight the text on the card and delete it. Then you will need to type your own information in the place of the text you deleted. You can also change the font, size, and color of the text by highlighting the text and using the text editing icons in the top of OpenOffice. You can also create skinny business cards using Zazzle. If the above business cards are not what you are looking for, consider the skinny Zazzle business cards.